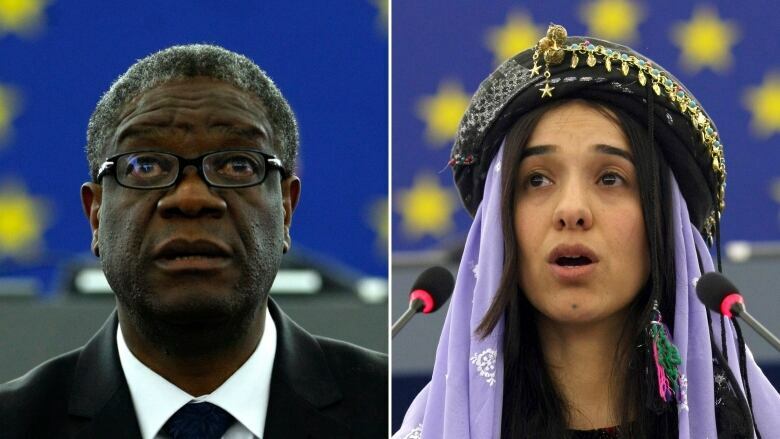 Dr. Denis Mukwege, a gynecologist treating victims of sexual violence in Congo, and Nadia Murad, a Yazidi human rights activist and survivor of sexual slavery by the ISIS, have won the 2018 Nobel Peace Prize. Reached by phone on Friday, Mukwege said he was in surgery when he learned he had been named a Nobel laureate. "I can see in the faces of many women how they are happy to be recognized. This is really so touching." 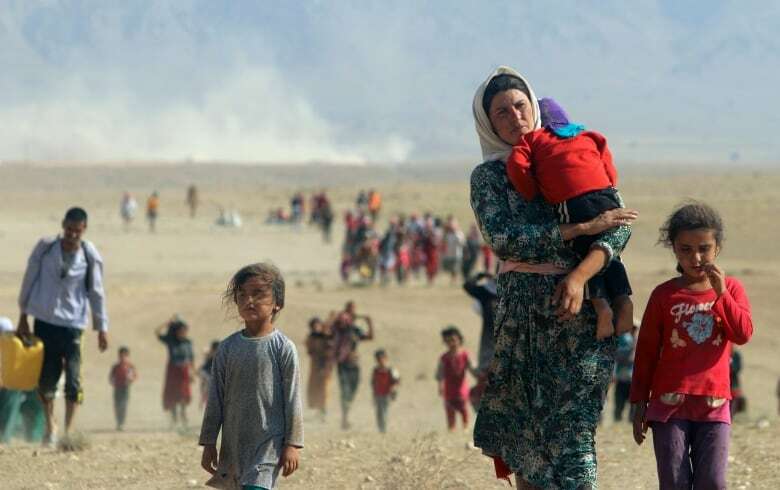 "As a survivor, I am grateful for this opportunity to draw international attention to the plight of the Yazidi people who have suffered unimaginable crimes since the genocide by Daesh [ISIS], which began in 2014," Murad said in a statement released Friday. 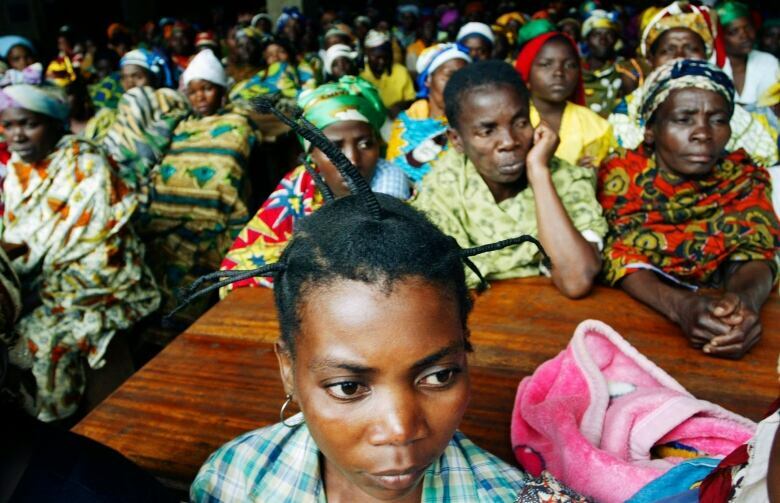 "We must remain committed to rebuilding communities ravaged by genocide. Survivors deserve a safe and secure pathway home or safe passage elsewhere. "We must not only imagine a better future for women, children and persecuted minorities, we must work consistently to make it happen — prioritizing humanity, not war." ​"It is unacceptable for a woman to be rescued from captivity from ISIS to come and not have a place to live, to be put in refugee camps," Murad told CBC's Nahlah Ayed in a 2016 interview. "It is unacceptable for education, for people not to have education. We are a peaceful community that existed in Iraq for thousands of years and we deserve a better life." Today, there are roughly 1,310 government-supported Yazidi refugees and 94 privately sponsored Yazidis in the country, the immigration minister's office told CBC News. Conservative immigration critic Michelle Rempel, who sponsored the 2016 motion, said Friday she "can't think of anyone on the planet more deserving" of the award than Murad. "This is a victory for her, this is a victory for her people, and it underscores the need for international action to prevent women's bodies being used as tools of war," Rempel said. Hussam Abdullah, head of the Yazidi Organization for Documentation, said "this win represents the international recognition of the genocide that was committed by Daesh." The prize is worth 9 million Swedish kronor ($1.29 million Cdn). It will be presented in Oslo on Dec. 10, the anniversary of the death of Swedish industrialist Alfred Nobel, who founded the awards in his 1895 will.